Keith William Schilling, 62, of Baton Rouge passed away early the morning of October 23, 2018 surrounded by family at his home. Keith was born on July 30, 1956 in Baton Rouge. As a young boy, Keith decided he was going to be a pilot and there was no turning back. After graduation from Louisiana Tech, Keith worked for Pelican Aviation, Petroleum Helicopters and finally American Airlines for 34 years. The highlight of his career was becoming captain of the Boeing 777 and flying international routes and making many friends along the way. When he wasn’t flying, Keith enjoyed relaxing and cooking with his family, cheering on the LSU Tigers, being outside with his dog Bella, listening to live music, playing the guitar and loving on his granddaughters. Keith is preceded in death by his father, Louis Schilling. Keith is survived by his wife of 40 years, Diane Doyle Schilling; mother Joyce Schilling; son Gregory Schilling and his wife Courtney of Houston, Texas; daughter Aimee Schilling of Austin, Texas; granddaughters Elizabeth, Grace, and Frances Schilling of Houston, Texas; sister Rhonda Schilling of Houston, Texas; brother Paul Schilling and his wife Judy of Zionsville, Pennsylvania; and nephews Nicholas and Patrick Schilling. The visitation will be held on Monday, October 29, 2018 from 10:00 AM until 12:00 PM with funeral service immediately following at St. Luke’s Episcopal Church in Baton Rouge. Interment to follow at Resthaven Gardens of Memory. Our family wishes to extend their sincere gratitude to all of the extended family, friends, co-workers, as well as all the doctors and caregivers who have supported us during Keith’s battle with cancer. The cards, calls, and visits brought smiles to his face and provided strength for us all during these tough times. The light shines in the darkness, and the darkness has never put it out (John 1:5). In lieu of flowers, memorial donations may be made to MD Anderson Cancer Center of Houston, Texas; Mary Perkins Cancer Center of Baton Rouge, Louisiana; or St. Luke’s Episcopal Church of Baton Rouge, Louisiana. 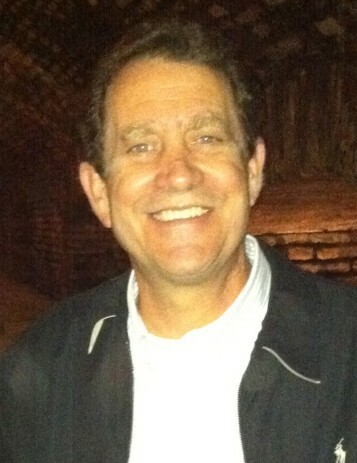 Please visit https://www.resthavenbatonrouge.com/ to sign Keith’s online guestbook.